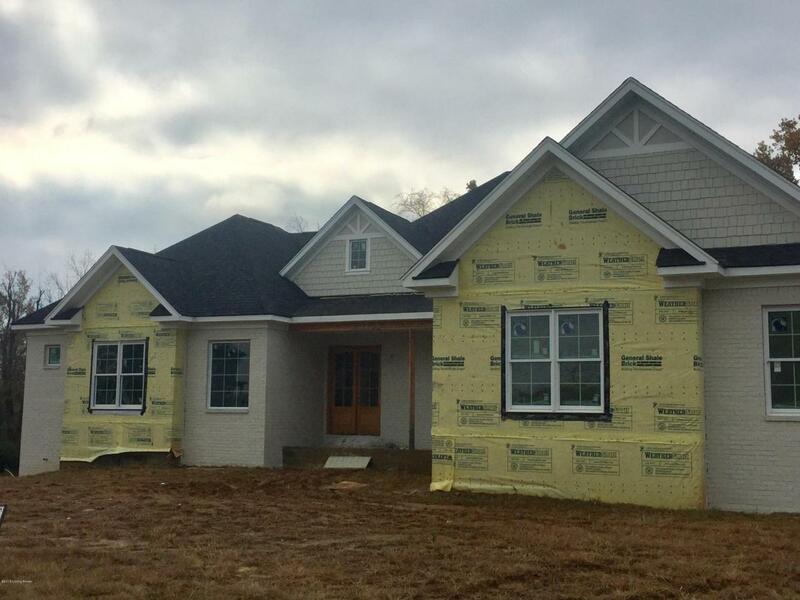 Provident Homes is excited to offer a walkout ranch for our next project in Poplar Woods. This home will be the perfect fit on the lot - taking advantage of the privacy that is offered from the common area and yet still have a yard that can be enjoyed. On the main floor you will find the master suite tucked in the the back of the home with ample space for relaxing and all the details you would expect from a custom home. The kitchen is open with a large hearth room and fireplace. The family room will offer a 2nd fireplace and built-ins. The main level is finished with 2 additional bedrooms each with a private bath. The open staircase to the lower level offers another 1700 sqft of finished space w/ 2 more bedrooms and family space (w/ walkout). There is also 1200 of unfinished space forstorage and future additions. We have left the home in a position to allow a new buyer the options to still make a number of selections. We your can have the home you want completed in 30 -45 days. Choices include: appliances, lighting, plumbing fixture finish/ carpet / exterior stone / cooktop hood / door hardware and others. Features of the home: Covered front porch / 5 bedrooms / 3 car garage / 2 master closets / 10 ft ceiling on main floor / Covered deck / maintenance free exterior/ 2 fireplaces / spacious Kitchen & Hearth room and a private lot that backs up to trees. Provident Homes is an award winning builder in Jefferson and Oldham counties.